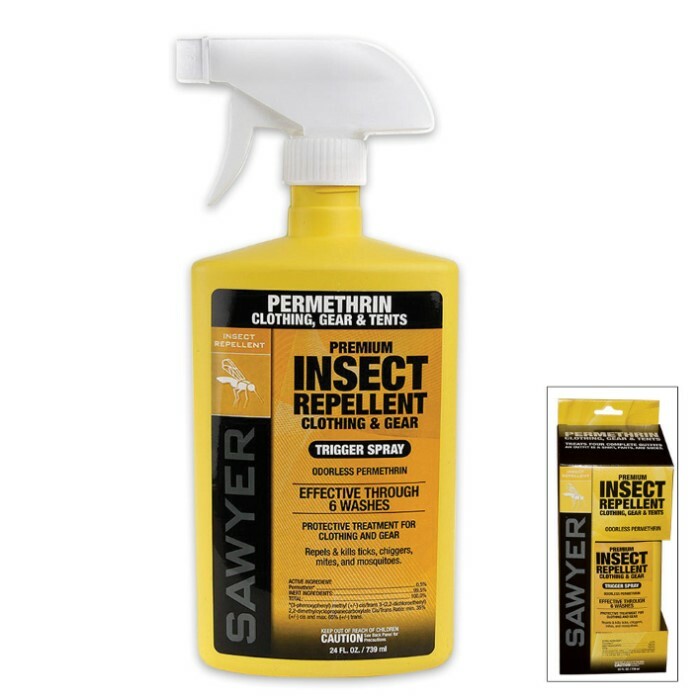 Permethrin 24 OZ Pump Spray | BUDK.com - Knives & Swords At The Lowest Prices! Mosquitoes can be deadly because they carry viruses and spread them throughout the population. The best defense is a good offense so let yours be Permethrin 24 OZ Pump Spray. 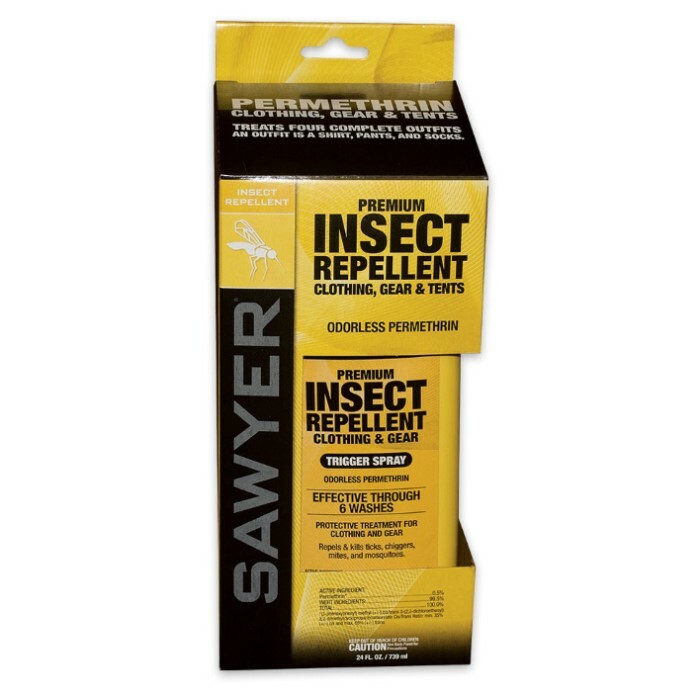 Use it on clothing, tents and other gear to not only repel insects but to actually kill ticks, mosquitoes, chiggers, mites, and more than 55 other kinds of insects on contact. The active ingredient Permethrin is a synthetic molecule similar to pyrethrum, which is taken from the Chrysanthemum flower. It’s odorless after drying and will not stain or damage clothing, fabrics, plastics, finished surfaces, or any of your outdoor gear. A single application lasts 6 washings or 42 days of sun exposure. It’s great for multisport, hunting, fishing, and international travel.